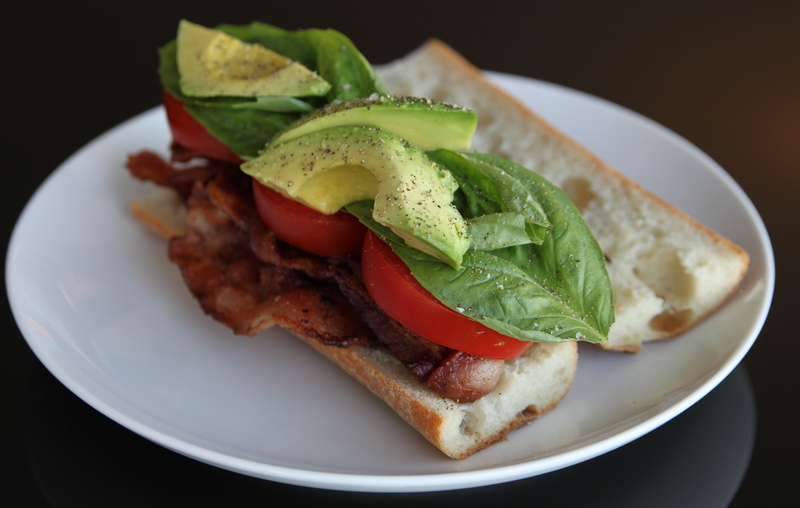 I love BLT’s, but the substitution of basil for lettuce along with the addition of avocado takes the sandwich to the next level. This is the perfect sandwich for when you are in the mood for something special and filling, but still very fresh. 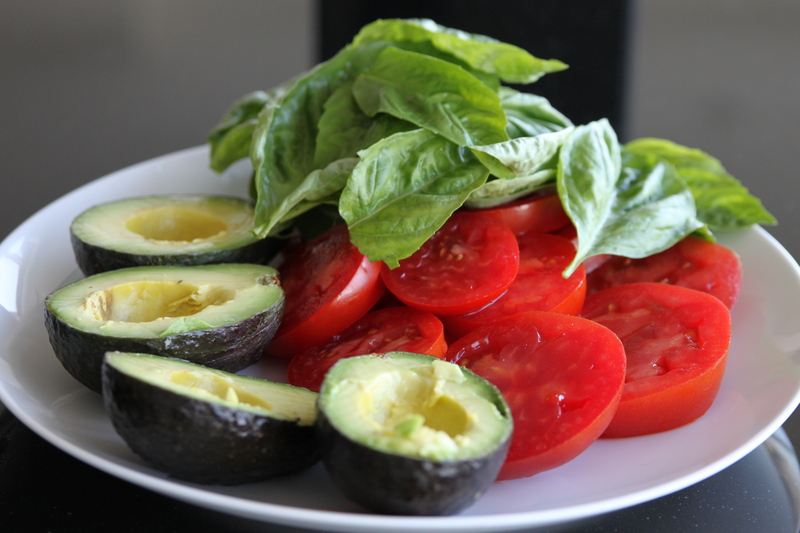 Top up on the basil and let the creamy avocado do it’s work. It’s Bacon Time. Get the best tomatoes you can find–their flavor is essential. 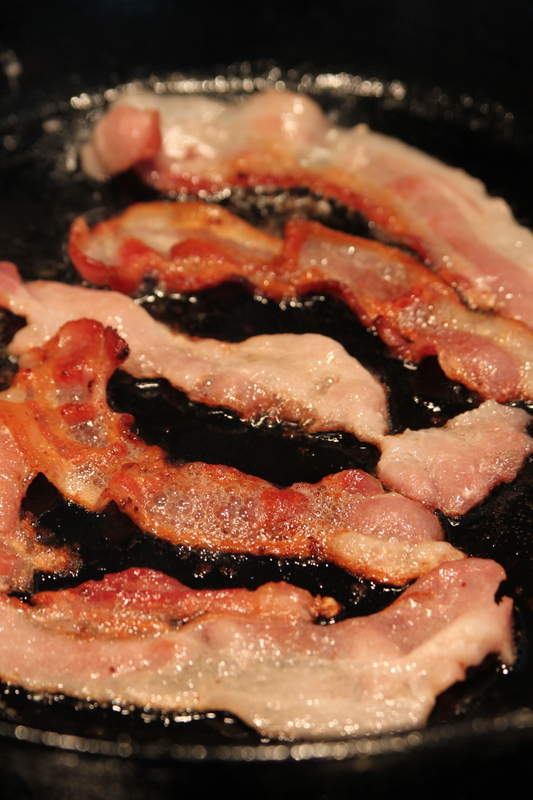 I add a little bit of brown sugar to my bacon while cooking–it helps it crisp up and gives a bit of sweetness to the sandwich. Get a fresh baguette–the crunchy exterior and soft interior makes for the perfect delivery mechanism. Fill it up! Add a bit of fresh ground pepper and bite in. Tomato season is starting so get ready for these. 1) Cut tomatoes into thick slices. Wash basil and dry leaves. Halve avocado. Place to the side. 2) Heat a large cast iron pan on high till hot. Add bacon. Cook in two batches as you will not have room for all the bacon to cook at once without crowding. Sprinkle just a smidgen of brown sugar onto each piece to help it brown up and give it just the tiniest bit of sweetness. Cook till crisp, turning a couple of times. Remove bacon and place on a plate. 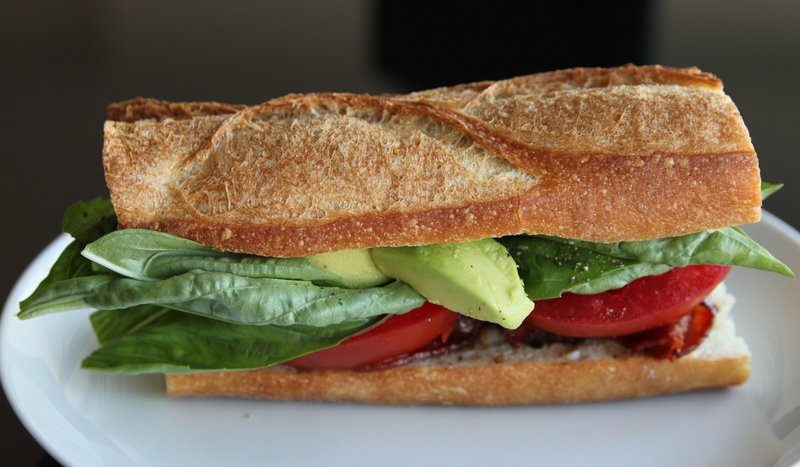 3) Cut the baguette so that you have two pieces about 5 inches long. Then cut in half exposing the soft interior. 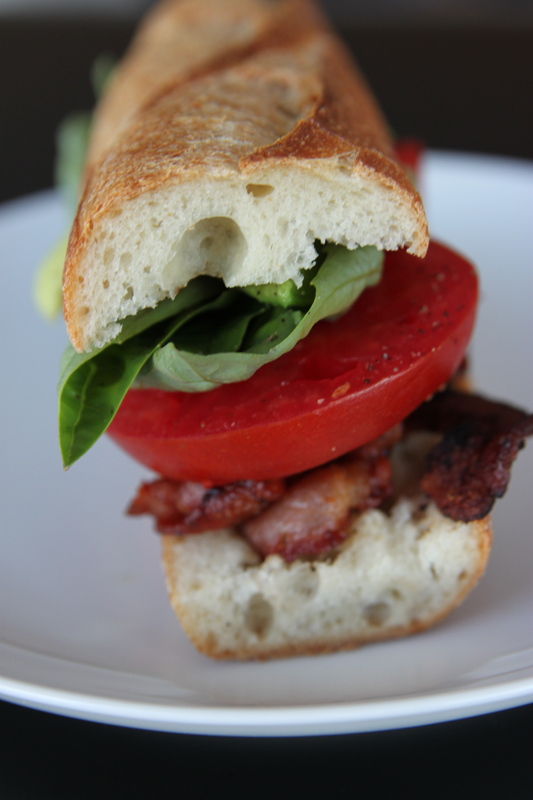 4) Place five strips of warm bacon on top of the bottom piece of the baguette. Then top with 3 or 4 slices of tomato, topped by 6 basil leaves. Spoon out slices of 1/2 of the avocado and place on top of the basil. Add fresh ground pepper and a pinch of sea salt. 5) Add the top piece of the baguette. Push down and bite in.